As most enthusiasts can imagine, being a successful vape manufacturer, especially in the field of the dry herb vaporizer segment, is one of the most difficult tasks in all of business. During the industry’s infancy stage, merely offering a working product was enough to land you on a “Best of…” list. Today, new innovations are coming out on yearly basis. 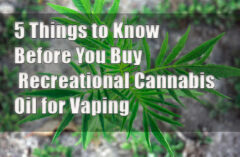 Additionally, international manufacturers are aggressively pushing into the vaping market. It takes something special to be the best, and more importantly, to remain the best. For several years, Arizer has been a household name among enthusiasts, and for good reason. Their products deliver rich, flavorful vapes underlined with some of the most innovative advancements. Best of all Arizer Vaporizers come in at a reasonable price point. By no means are they cheap, but they’re affordable for the discerning vaper. 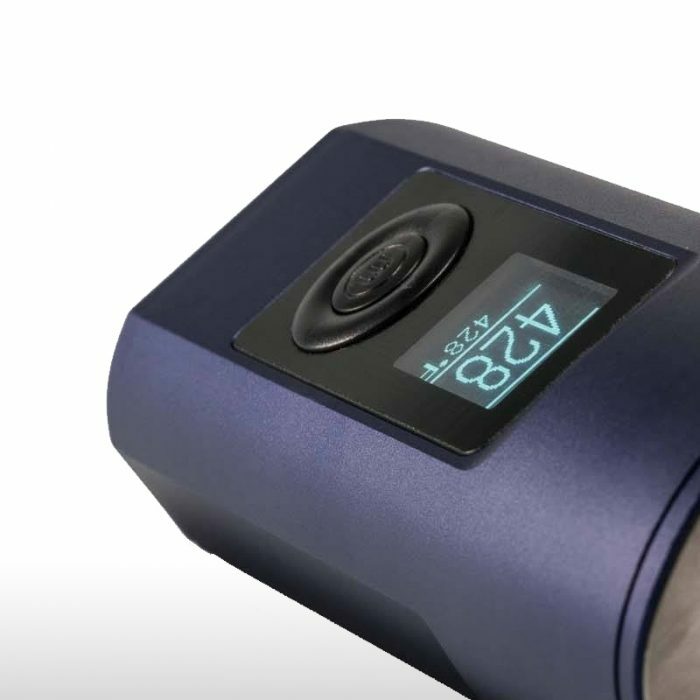 The critically acclaimed Arizer Solo II Vaporizer provides what many vape analysts regard as an unparalleled experience for a dry herb vaporizer. 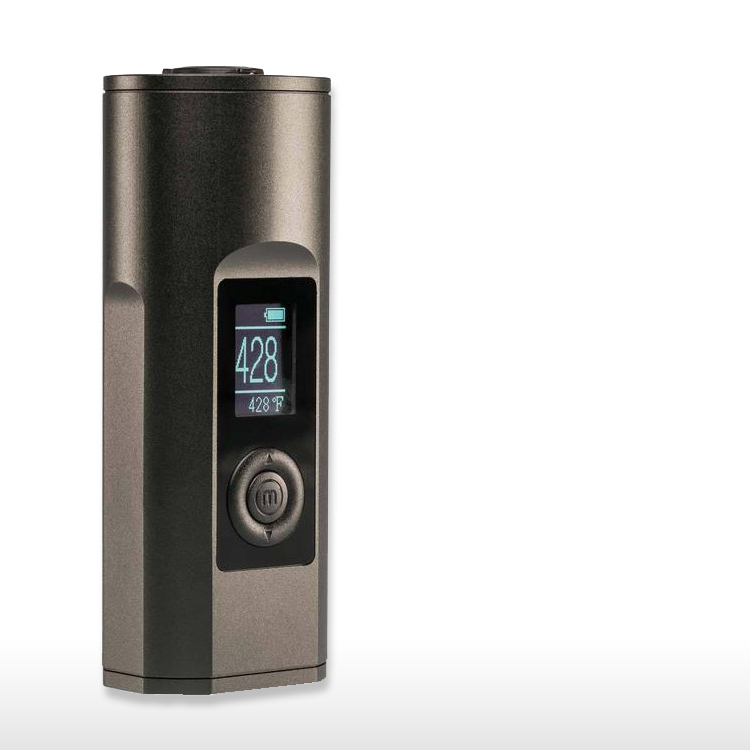 Combining the power and versatility of a desktop e-rig with the convenience of a portable dry herb vaporizer, the Solo II is accurately named. This is one e-device that can be enjoyed in a crowd, or by yourself. It fits right at home after a hard day at the office, or it can be taken on the road through various settings and environments. 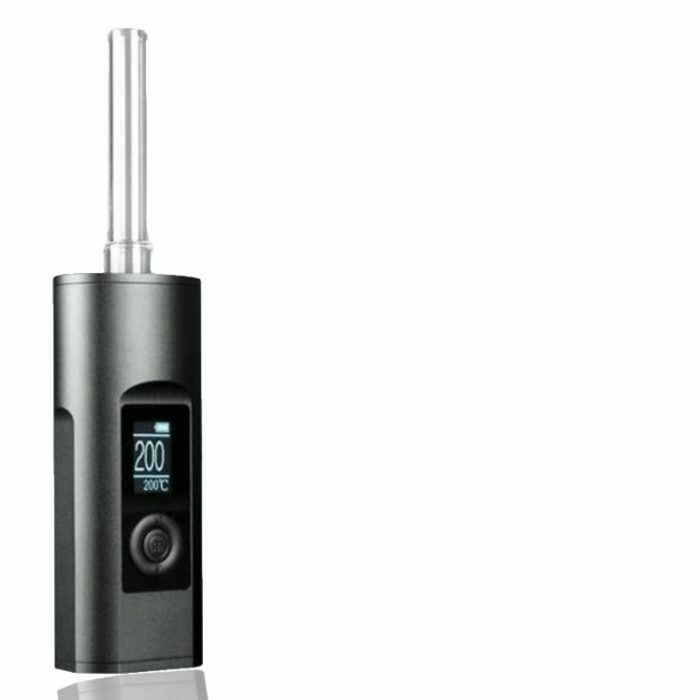 You’d be hard-pressed to find a portable vaporizer that delivers all the functions and features that the V2 Solo does. However, the obvious question is whether or not it’s worth the price. Read below to find out! A good number of vaporizer reviews compare their target device to that of a similar competitor model. This is especially true for “value vaporizers.” The purpose of such product reviews is to determine what features are present, and what features are left out, from a device whose primary attraction is a lower price point. 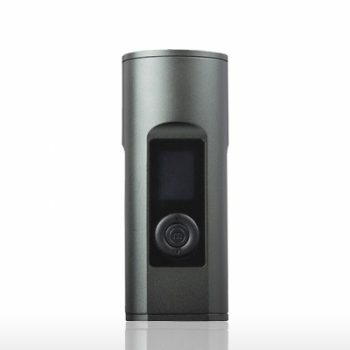 The Arizer Solo II Vaporizer is not one of these reviews. Indeed, it’s difficult to find an e-device that matches the functionality, power, and convenience of the Solo II. Some devices may offer extraordinary power, but are also priced into the stratosphere. Devices at a lower cost against the Solo V2 are a dime a dozen, but they don’t have the same vapor quality and lag in other performance metrics. True vape aficionados understand that a distinguished device costs money. In the same vein that a luxury sports sedan features advanced suspension systems and robust, linear power that you can’t get from an econobox rental, Arizer engineers their products with quality, not price, as the main focus. 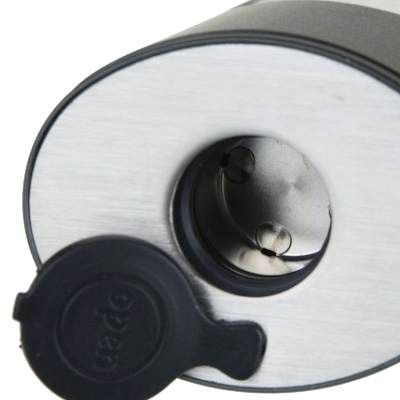 This is not to say that the Solo II Vaporizer doesn’t offer great value because it does. For a device of its size, the heat-up time is rapid, reaching operational temperature in 30 seconds or less. Vapers who enjoy customization and experimenting with different flavor profiles (that’s probably everybody!) will really appreciate the Solo II’s precision temperature control system. Starting from a low of 122F, you can dial up the thermal pressure to 428F. One of the top attributes of the Arizer Solo II Dry Herb Vaporizer is the draw quality, which is excellent thanks to its all-glass borosilicate vapor path. Borosilicate is a special type of glass compound that is extremely resilient to high temperatures. For vaping, borosilicate has the advantage of being inert; thus, the composition won’t impact the profile or transfer of your choice flavors. As a direct result of Arizer’s construction materials and workmanship, the Solo II Vaporizer organically produces smooth, cool vapors. But depending on preference, the end-user can emit serious clouds. Just dial up the temperature setting to start fogging up any room or enclosure you find yourself in! For what Arizer offers in the Solo II device, it’s difficult for any competing vaporizer to beat it on functionality and performance. However, at a price point exceeding $200, and nearing $250 territory for many vapers, consumers have many options. It’s not that the Arizer Solo can’t compete against the rest of the field – any legitimate product review will demonstrate that it can. Rather, it’s simply the fact that no device can be everything for everyone. At the Solo’s price tag, more people will spend significant research to determine if the platform is truly right for them. I always like it when a company puts in the effort to make a grand entrance, and that certainly fits the bill for the Arizer Solo II Vaporizer Kit. Upon receiving the product, I was immediately struck by its solidly-constructed packaging. Granted, this has nothing to do with the vaping experience directly, but I also believe it sets the right tone. You spent a good chunk of money on the Solo V2 so why not get the royal treatment? At least, that’s the way I look at things! An important point I’d like to get across to those who are considering the Arizer Solo II is that the platform is deceptively small. I mention this because more than a few online vape shops post close-up shots of the device, but without a reference marker. 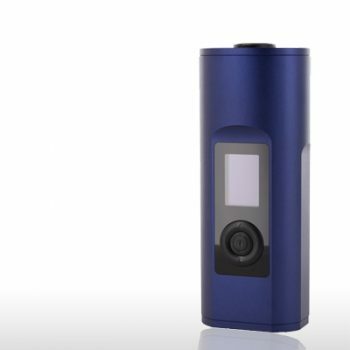 Due to the cylindrical shape of the Solo II, the vaporizer looks massive. For vapers who prefer a solid balance between performance and discretion, fear not – the next-gen Arizer Solo is a sleek device. Now, I wouldn’t go around carrying the vaporizer by hand if you don’t have to. But if you must, simply hold the Solo II with the digital display screen facing into your palm. The e-device’s rear profile looks incredibly innocuous, and will be easily mistaken for the back cover of a smartphone. On the flipside, the Solo V2’s LED screen is deceptively large. When viewing the vaporizer in its non-operational form, the screen appears diminutive. Once it’s turned on, however, the LED evokes a crisp, clean image. Your current temperature is displayed in a tall and extra-large font, while the set temperature is communicated in a smaller, but definitely readable font size. Overall, Arizer engineered the second-gen Solo impressively. The original Solo won rave industry accolades for its robust construction and exceptional reliability. While I obviously haven’t had the years of experience with the current-gen Solo to verify its dependability, you know right off the bat that you’re vaping something special. This Dry Herb Vaporizer features excellent weight distribution and is comfortable to hold, even on extended journeys. If you’re willing to spend some bucks on a premium-quality herbal vaporizer to accommodate your day-to-day routines, the Arizer Solo II is well worth your consideration. 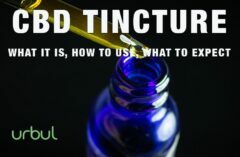 Nowadays, virtually every vaporizer, from the dry herb vaporizer to the latest wax or oil vaporizer, its product description sounds like an overly-pumped infomercial. From the wax-pen format up to the desktop e-rig, vaporizers are marketed as the “next big thing.” It’s nearly impossible to separate the hype from the substance. But to remain clear-headed and as objective as I possible can, it’s my job to separate the fact from the hype. That being the case, I strongly argue, that Arizer is one of the rare manufacturers that have earned the hype, so far. Countless reviews and analyses all come to the same conclusion – Arizer is an expert at extracting rich, flavorful vapes, including subtle tones and nuances that are simply not present in lesser vaporizers. Even-toned critics are known to rave over the company’s vapor quality, which is somewhat of a double-edged sword. In one aspect, lauded manufacturers gain tremendous market share and revenues from enthusiast approval. But on the other hand, they have to maintain that standard of excellence; a misstep or two could eventually snowball into something catastrophic. I’m happy to report that the Arizer Solo II will not disappoint. Like its predecessor, and similar to the entire Arizer lineup, the Solo V2 emits pure and almost ridiculously smooth draws. This lusty dynamic of course is facilitated via its all-glass borosilicate aroma tubes, which as previously mentioned are inert, and therefore, will not interfere with your flavors. An important distinction between the original Arizer Solo and the second-gen model is that the latest version features significantly less draw resistance. One of the few earned criticisms of the original platform was that it was sometimes arduous to draw in the vapor. 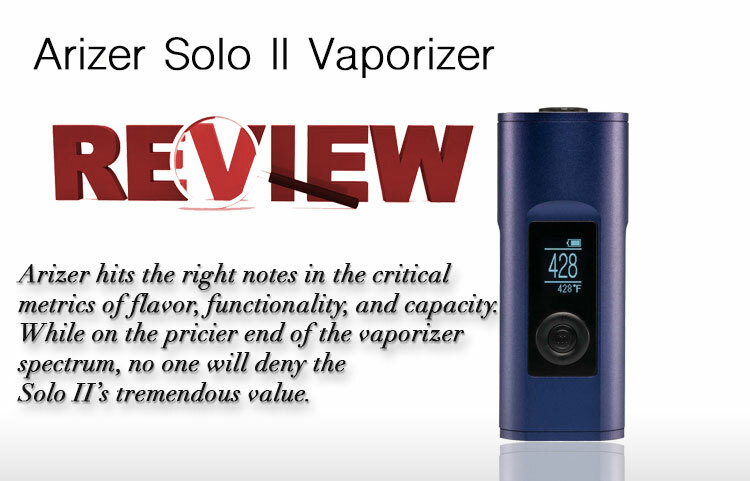 You’ll have no such problems with the Solo II, which only adds to the vaporizer’s overall value and appeal. Moreover, the included aroma tubes are seem to be a revelation. Not only does the high-grade glass transmit the pure essence of your herbal materials, the generous distance between the glass’ base and your lips helps cool the vapor before it hits your mouth. To add pizzazz to the already rich, out-the-box vaping experience, Arizer offers a waterpipe adapter, which sends your Solo II Vaporizer into hyperdrive. The Solo is also compatible with a number of aftermarket “chilled” glass-tube systems that enriches the drawing experience with crisp aromatic tones. Armed with Arizer’s precision temperature control system, the vaper can enjoy the full spectrum of their botanicals. For casual and flavor-centric hits, go with lower temperatures to achieve that marinated draw. Vapers that prefer huge clouds will favor higher temperatures. But no matter what setting you elect, you’ll never get that burnt flavor and residue that’s common in cheaper portable vaporizers. The Arizer Solo II is frontloaded with a number of features, it’s quite a task to pick out which one deserves special attention. Nevertheless, every single vaper alive will appreciate the upgraded and enhanced-capacity Solo V2 battery. The original Solo lasted for about an hour, to an hour-and-a-half of continuous usage; a not bad, considering. However, the second-gen blows it out of the water with a battery life that clocks in just under three hours (tested by yours truly on many occasions) Arizer markets the battery’s capacity at more than three hours; realistically, though, you would have to use the device somewhat judiciously if you want to go beyond 180 minutes. When you do eventually run out of juice, the Solo II comes with a DC wall charger. From a fully-depleted status, the vaporizer can be recharged in approximately 90 minutes. More importantly, the latest Solo Vaporizer incorporates pass-through technology, which allows you to vape while charging. Similar to other units, you should wait until the device has a minimum charge in its battery before engaging the pass-through function. As will become apparent quickly, the Arizer Solo II Vaporizer Kit is stacked. Included in the packaging (aside from the vaporizer) are two glass stems with two stem caps, an aromatherapy dish which facilitates oils and extracts, one stirring tool, a DC charger, four replacement screens, one lavender sample, and a carrying case. Just from the standard components that are included allows you a wide variety of flavor experimentation. For any vaping platform that you intend to use heavily outside the home, safety features are paramount. You definitely don’t want to accidently turn on your vaporizer – having your pocket heat to 400F is not anyone’s idea of fun! To prevent unwanted discharges, the Solo starts a six-second timer before the vaporizers turns on. The vaper has to hold the power button down for the six-second duration; otherwise, the device will remain in non-operational mode. Afterwards, you have the option of adjusting the timer to either four seconds or eight seconds. Why I came to this strong conclusion is that I acknowledge how difficult it is for manufacturers to deliver a compact e-device that performs reliably, and most importantly, delivers profoundly soothing and satisfying vapors. Often times, engineers struggle against the physical limitations of the vaporizer platform. In addition, they have to keep costs reasonable – only a select few vapers will buy a device exceeding $400. For myself, to spend that kind of money, it better be a mind-altering vape experience. I genuinely believe that within the physical and economic confines of the Solo II, Arizer pushed this vaporizer to its absolute maximum. The next-gen Solo features exceptionally rich-tasting vapors, a variety of flavor-experimentation devices with the ability to add more, and a remarkably long-lasting battery. The platform, though not as diminutive as a wax pen, is definitely discreet. You can even elect to dim the LED screen to avoid signaling passersby to your intent. Obviously, price is a factor in every decision we make. The Arizer Solo V2 undoubtedly is an expensive piece, and it competes within the general price range of the Storz & Bickel Crafty. Depending on what a specific vaper is looking for, the Solo faces significant competition. But overall, Arizer hits the right notes in the critical metrics of flavor, functionality, and capacity. While on the pricier end of the vaporizer spectrum, no one will deny the Solo II’s tremendous value. Pick one up at NugRepublic.com and take advantage of free shipping on entire order along with their price match guarantee.